Did you know that English-only iOS apps reach just 8% of the world? There are 4.1 billion people speaking the top 23 languages globally, and out of that 4.1 billion, only 335 million people speak English. You can gain significantly more users and earn more revenue by translating your app into other languages—and it doesn’t even have to cost anything for the first two languages. 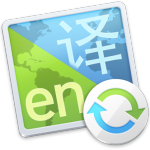 Below are some free ways to translate your app into another language. You may be the untapped translation resource you’ve been looking for! Start with languages you know beyond English, regardless of how profitable the markets. Localization at no initial cost to you will most likely result in some extra revenue. El Loco visual context makes it very easy for you to go through your app and add in the languages you know. Be sure to translate the App Store marketing information and keywords so that people can find your app in their local language App Store. The odds are high that someone you know, or someone in your extended social circle, is multi-lingual and would be open to doing some volunteer translation. Your volunteer translators can log into El Loco and quickly navigate through the app screens to check, edit, and approve translations. To make your connections the most effective, offer to sit with them while they do the translation. Oh, and you know, lunch is always a nice treat for someone doing you a huge favor! Because of the design of the App Store, most developers have very little connection to their customers, but that doesn’t mean they are not a viable translation option. The easiest way to request translation assistance from users is to post a request on your website or in the App Store product description. Best practice would be to get two or three volunteers per language; one to do the translation and the others to review it. Remove your posted request once you have acquired volunteers for a specific language. It is also nice to publicly thank your volunteers, as long as you get their approval beforehand. Typically, machine language translation works best with documents versus apps. Documents provide plenty of context, the words in apps do not. A single word, for example “hot,” has many different meanings and a machine translation is going to pick one, and most likely it will be the wrong one. However, while some people recommend no translation over machine language translation, at El Loco we use machine language translation as a default starter set so that you can see how your app will look in another language. It is HIGHLY recommended that you also have a human review and correct all of the default translations El Loco provides, as we only put them in to be visual placeholders. You can use our free localization tool to translate your app into two different languages. The El Loco app examines your iOS app Xcode source and prepares it for localization, if it needs it. Use the El Loco app to upload your app screen images and strings to the El Loco website where translators use a web browser to view your app screens and provide translations. Once translated, the El Loco app inserts the translations into your app. If you’re looking for a professional take on things, check out this post which provides some helpful insight into finding experienced translators. It’s a big world out there and many developers make the mistake of keeping their app English only. The English language App Store probably has several other apps that appear to be similar to yours. Localize your app into another language and odds are your app will have much less competition. It doesn’t have to cost anything to expand your market into another language and potentially increase your sales. Learn more about how it’s crazy easy to localize your iOS app with El Loco here.